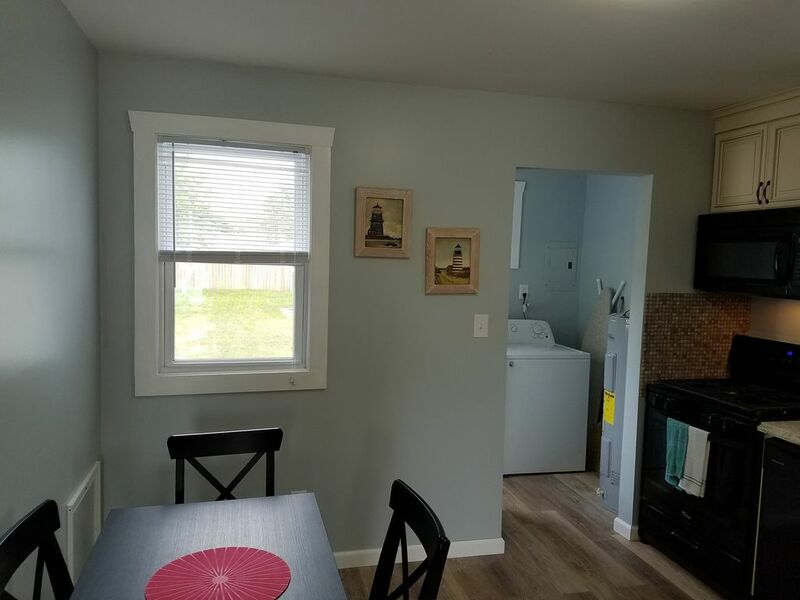 Immaculate home completely newly renovated in 2017. 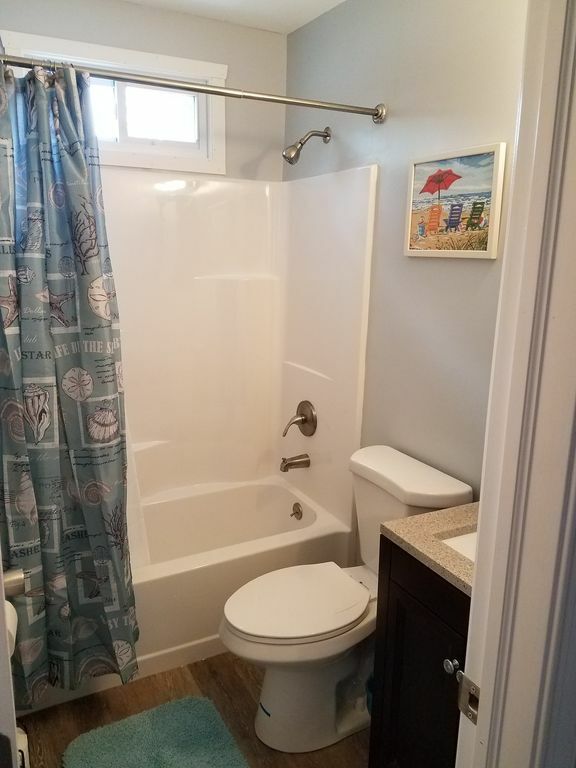 From the moment you walk in you will love this home that has been completely renovated. 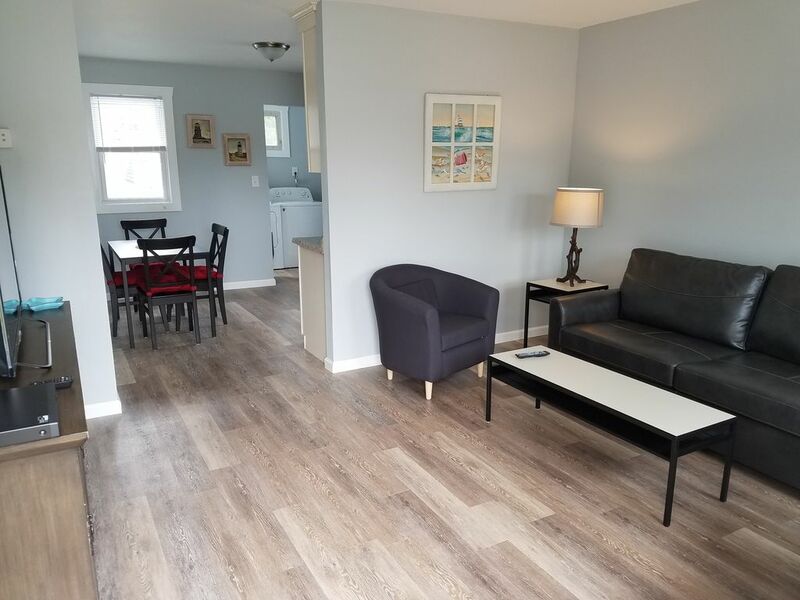 All new floors, walls, doors, kitchen, appliances, bath, furniture, fixtures, deck, porch, and hot tub... EVERYTHING. 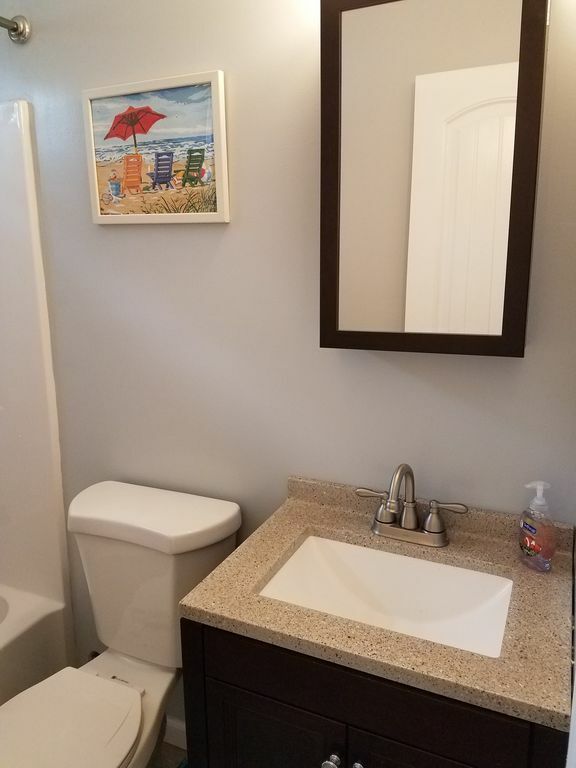 The cottage is located in a quiet part of the Villas only a short drive from the Delaware Bay, historic Cape May or the Wildwoods. The home has 2 bedrooms. 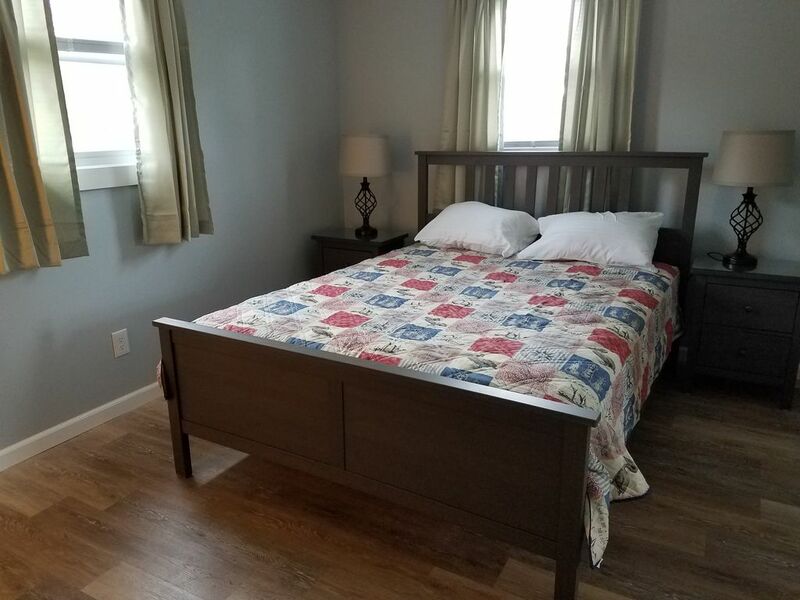 Bedroom 1 has a queen bed, large closet and is equipped with a 40-inch flat screen television. Bedroom 2 has two twin beds and also has a large closet. The living room has a leather queen sofa sleeper and a 40-inch flat screen television. 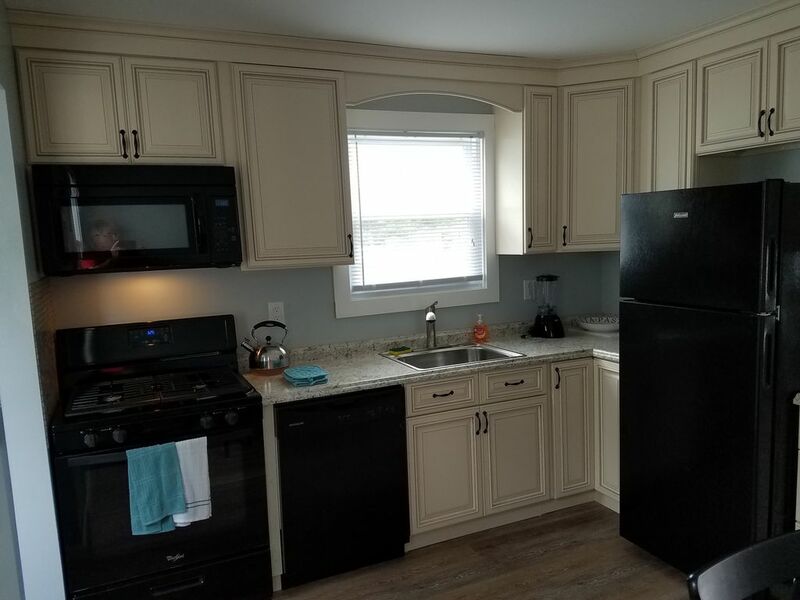 The brand new kitchen is equipped with refrigerator / ice maker, gas range, dishwasher, seating for 4, blender, mixer, coffee pot, place settings for 6, pots, pans and slow cooker. Optional linen package includes sheets for all beds and sofabed, 4 bath, 4 face towels, and 4 beach towels. The linen package is available for $65. Please let me know in advance if you want this. A beautiful deck awaits you in the private backyard oasis. 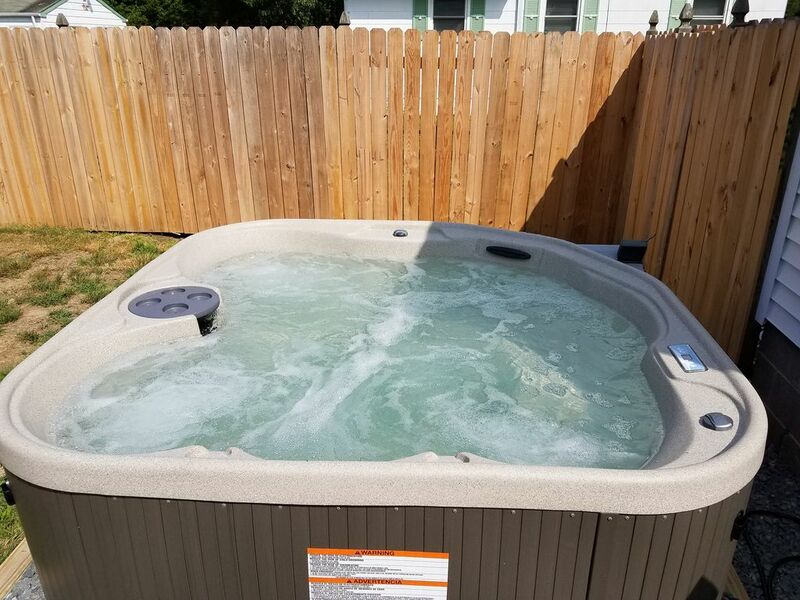 Take a relaxing dip in the 6 person hot tub. At night, view the stars from the privacy of your lit up hot tub. 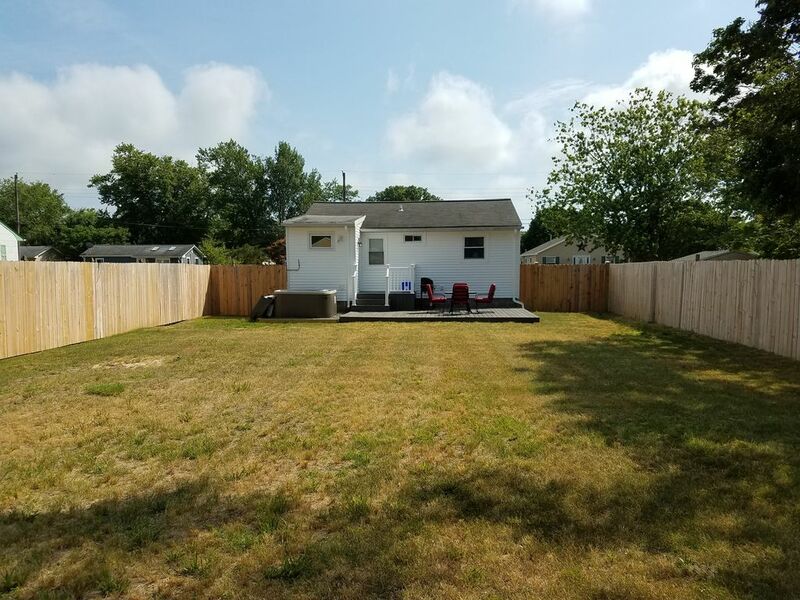 The backyard is approximately 50' x 100' fully enclosed in privacy fence. A great place for your dog to explore. The beach in Villas is the Delaware bay beach less than a mile from our home. The Villas beaches welcome dogs all year long. The beaches are great for walking your dog, relaxing at the beach, fishing, or kayaking. Cape May and the Cape May beaches are about 8 miles away ( 15 minutes ). Beach tags are required Memorial Day through Labor Day (We provide you with beach tags). See all the historic Victorian charm that Cape May has to offer. Shop at the Washington Street Mall, eat at the many restaurants, walk or bike through the Victorian streets, stroll the beaches, kayak, and take in all the beauty of this remarkable town. The beaches at Wildwood are also about 8 miles (15 minutes) away. Beaches are always free in the Wildwoods. Visit the beaches, boardwalk, restaurants, Wildwood nightlife, shows, amusement piers, water parks and everything else the Wildwoods have to offer. This house was adorable and very clean! This house was adorable and very clean! This house was extremely accommodating to my little family of a four-year-old boy and a very active one-year-old puppy. Every morning we enjoyed our walks to the bay collecting shells and pebbles. Just a short ride to two different beaches was great! Local shops, restaurants, and grocery stores was extremely nice because it was a short drive. Best of all was the hot tub! Will definitely book again!! We loved staying in your home and really appreciate the hospitality! It was clean, comfortable, and a pleasure to be in! Seeing you on the first day to check us in was a nice touch, as well. The week was amazing and we hope to see you again!! Property was great to take Dogs too, the back yard is fenced in and they could roam around. It was very quiet and relaxing, only a short drive to either cape may beaches or wildwood which made it convenient. Plenty of uber\'s available if you don\'t want to drive to drive to dinner. 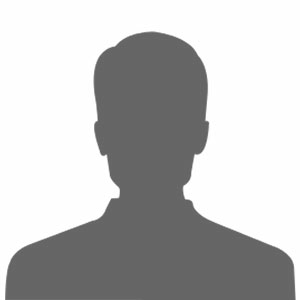 Dann is very helpful and willing to make recommendations and answer any questions. They thought about almost all the little things you might need for vacay making it easier. 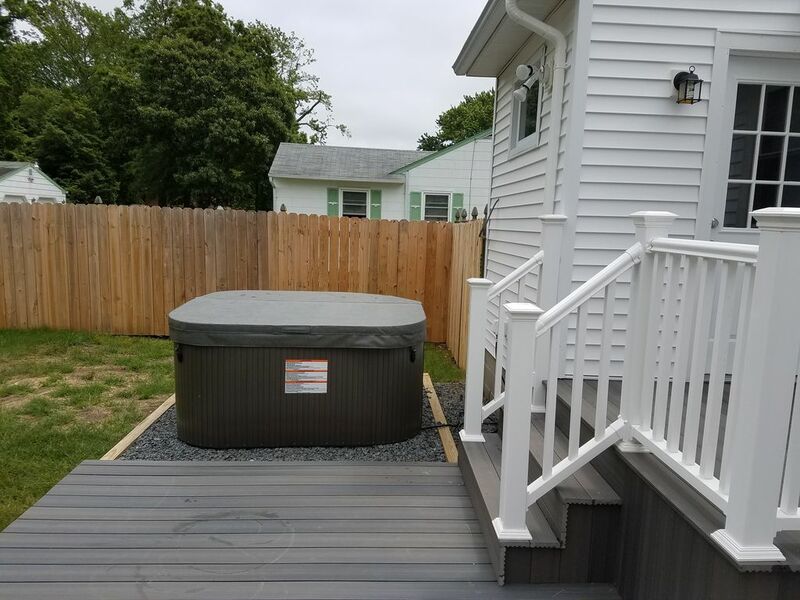 The hot tub was nice addition as well. WE would definitely come back. We had a great stay during our week at Cape May. 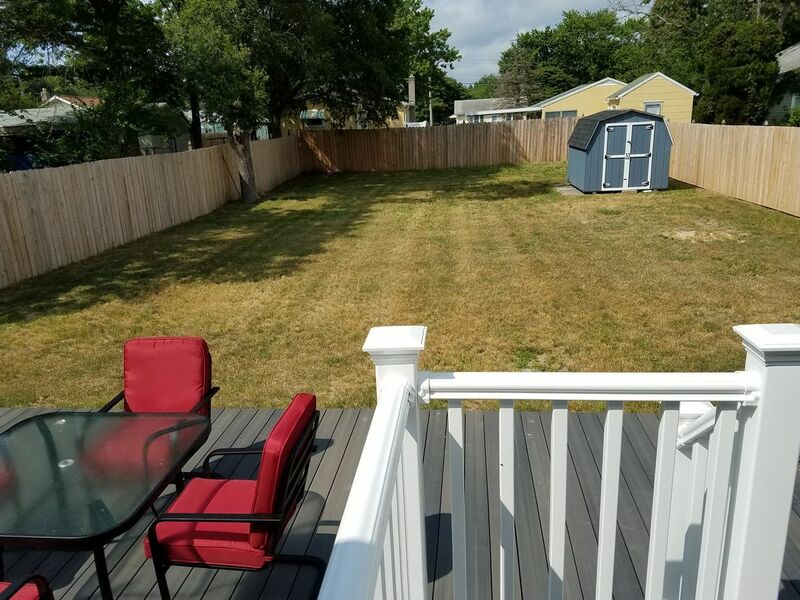 The house was clean and updated and our family loved the hot tub and our dog appreciated the large fenced in back yard. The owner Dan is a fantastic person to work with. Definitely recommend!